Their horsemen ride like thunder across the plain, like the kings of old! 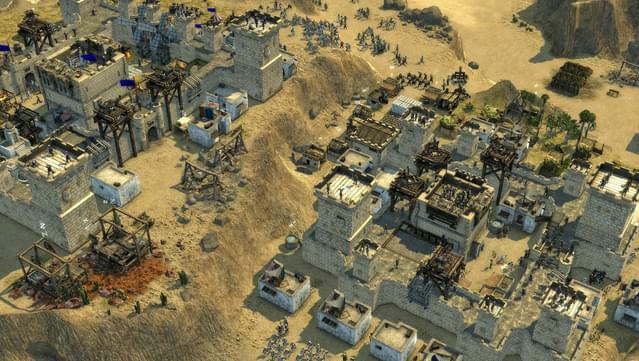 The Jackal & The Khan DLC adds an additional Crusader Trail campaign and a duo of new AI opponents. Two men destined to lead their forces across the wilds of the desert plain, The Jackal and The Khan are outcast warriors forced to survive on their wits and the loyalty of their men. 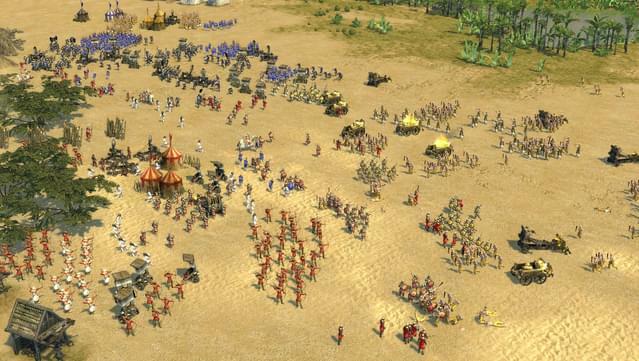 Both nomads in their own way, the animalistic Khan and the fearless Jackal represent the ultimate challenge for Stronghold players. 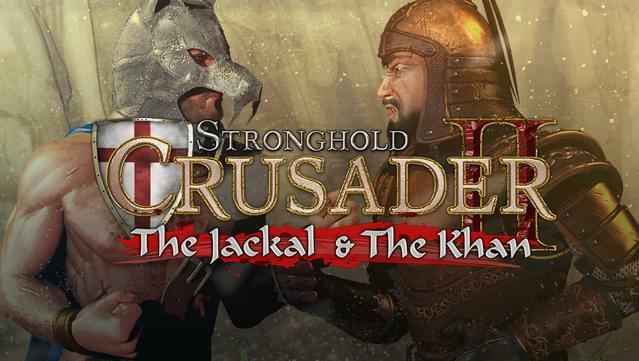 The latest character pack DLC for Stronghold Crusader 2, The Jackal & The Khan adds new missions, AI opponents, achievements and castle designs unique to these new Lords. A skilled warlord who shields his face behind by a large metal helm, fashioned in the shape of a jackal’s head, Crusader 2 returns The Jackal to his homeland. After The Wolf is impaled and thrown from his tower at the end of the original Stronghold (2001) he is taken east, where he is miraculously restored to health by The Jackal and his allies. After mending his broken bones The Jackal eventually becomes The Wolf’s subordinate, earning his master's trust by killing the King and replacing The Pig as chief warlord. Unlike The Pig or indeed The Rat, The Jackal appears unafraid of The Wolf. Disagreeing with orders and seeking to provide counsel in his own way, The Jackal challenges The Wolf as an equal. After his military campaign against The Boy fails, The Jackal chooses to desert his stubborn leader and return to his native lands. Here he bides his time, exacting revenge on those who wronged him when the moment is opportune. The Khan is a nomad closely connected to his lands, both in terms of his past and play style. For most of his adult life The Khan has acted as head for his pack of roaming soldiers. 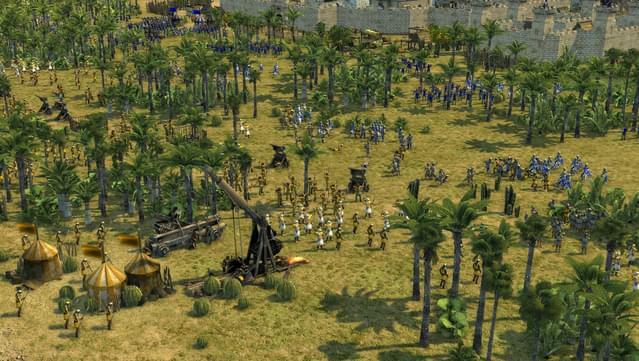 More travelling warriors than mercenaries seeking to turn a profit, The Khan's men are in search of a good fight and glorious victories. 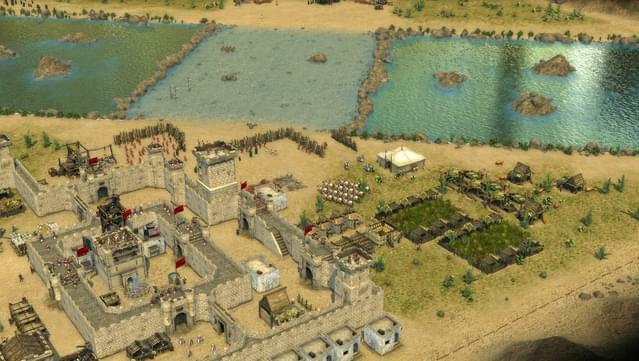 Over the years The Khan's leadership has taken his makeshift army between lands with no permanent home or base of operations, always more interested in the journey and victories secured along the way. His army is animalistic and wild, operating in packs and always seeking out new resources to plunder. New Missions - Lead the pack to victory with nine new single-player missions in 'The Jackal & The Khan' Skirmish Trail. Two Characters - The Jackal and The Khan enter the fray as AI opponents in a new Crusader Trail, Skirmish Mode and Multiplayer. 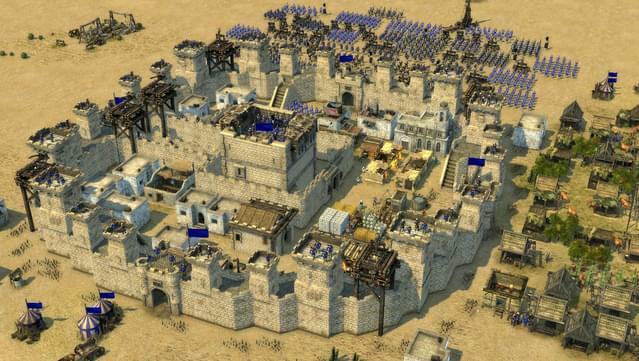 Unique Castles - Inventive wall layouts, ample siege defenses and some of the strongest fortifications in the game. Extra Achievements - Discover new achievements and set yourself apart as a true master of warfare.